But I also see some shockers in non Essendon games too. I went speedway racing yesterday. Needed to be in a country town at 4pm, that was 3 hours away. The game would have been right when I was driving. So what do I do? Leave 3 hours early, get close to the track, find 4g reception and set up on the side of the road with a tablet and live stream it! "HE'S TAKING A MONSTROUS AMOUNT OF PISS!" We're not sure who was in better form yesterday - Anthony McDonald-Tipungwuti or our call team! 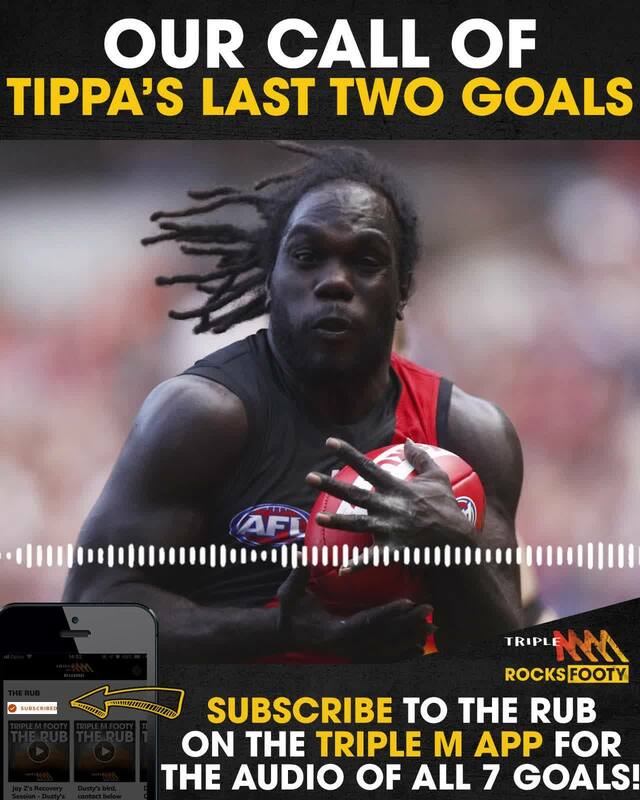 The only inexcusable mistake I saw Tippa make was when he nearly tripped over giving Raz(?) a high five. That’s commitment, but is that screen even on? Only just got to it (left at half-time for Dad’s surprise 70th birthday party) but Hipwood has to go for kicking Myers in the head. Dead-set deliberate, though unclear if outright malicious. And LOL at both TV and radio commentators who thought Conor was caught off-guard with his back to the kicker while on the mark — clearly they don’t watch many of our games. New Norcia is great. A Victorian era ghost town with heritage buildings, in the middle of nowhere. Look up the photo in the “Guess the location” thread. I watched the first half on kayo sports, then had to drive to a mates place. Listening to the 3rd quarter on Triple M was a disgrace. How do those morons get paid the money they do? Dead set garbage, and I had little to no idea of what was going on. Tried moving to 774 but they were broadcasting the Geelong vs GWS match. They spent more time on Mitch Robinsons perm than calling the game. I wonder how things would have gone if Clarke had kicked the goal start of the 3rd quarter which was a sitter. Essendon for years has struggled to really put teams to the sword and Saturday was a chance to do that. If Clarke had of kicked that goal I reckon it could have been a belting. Nah it would have just made the maggots try harder to keep the Bears in the game. SEN were also calling our game, and were less offensive and more descriptive than MMM. Their audio was oddly murky, through. I can’t ■■■■■■■ stand listening to Mmm live, they don’t call the play, they don’t tell you where the ball is, it’s awful. They actually posted a link of the commentary for all 7 of his goals. At one point, they were teasing Carey for getting “all firm in the trouser area” after one of Tippa’s goals. It’s a nice bag as well. And they turn up the crowd noise way beyond its actuality. I remember being at the MCG with the radio on, and the real crowd noise was nowhere near as loud.